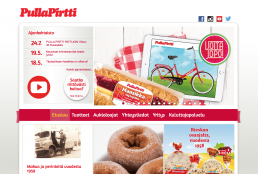 Pulla-Pirtti is one of the best known pastry-bakeries in Northern Finland. 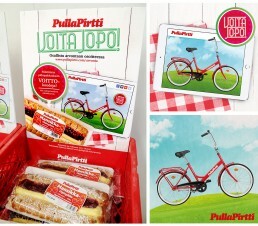 2016 Pulla- Pirtti’s summer campaign was making their lovely sweet&filled plaited loafs more familiar to the consumers. You could find hidden codes on the packaging and win a picnic blanket. 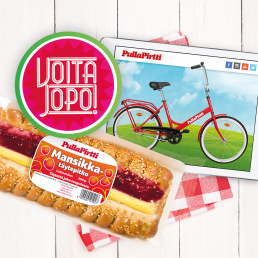 By visiting their webpage, you had a possibility to win one of the coolest bikes in the world, a beautiful Finnish design bike Jopo made by Helkama. My role was to create campaign posters and social media banners.